The TOTAL TENNIS Mums’ Program puts you in good hands to develop your tennis skills. 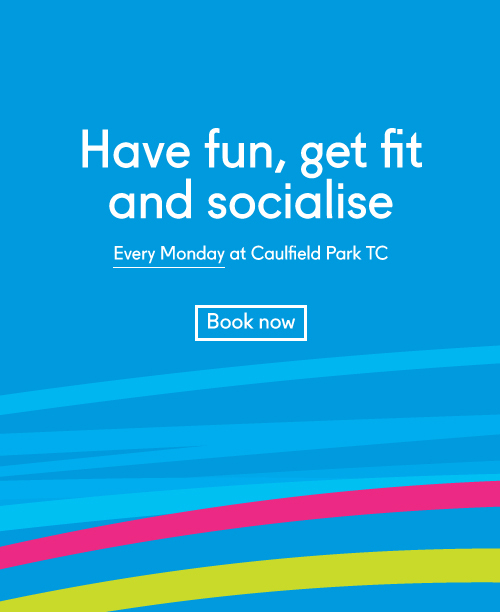 Open to beginners and those who would like to resume playing tennis, the Mums’ Program allows you to take some times out for yourself and get fit and active whilst socialising with other mums in your area. The TOTAL TENNIS Mums’ Program runs in 4 week blocks but you can individual sessions are also available. Get a taste of Cardio Tennis and get involved with your local tennis club for a minimal cost. “I wanted to learn how to play tennis and this program gave me the opportunity to do so while my children were looked after. The coach was great, I loved the social aspect of the program and it was cheap!” – Anne Hoye, Hampton. For any further information, please contact Victor Eke on 0417 140 186 or victoreke@gmail.com. Come and try first lesson FREE.